Day 1 - A few months back Me, Sean and a few family members decided to go on a camping weekend. I'd never been camping before so I was excited but slightly nervous as I didnt know what to expect. We drove down on the friday night after we had all finished work. By the time we arrived at our camp (just outside Tewksbury) the sun was setting and it was time to grab some grub. We set up a little BBQ and bought some meat from the owner of the camp. We cooked our burgers, had a little drinky and then me and Sean went on a little midnight walk. 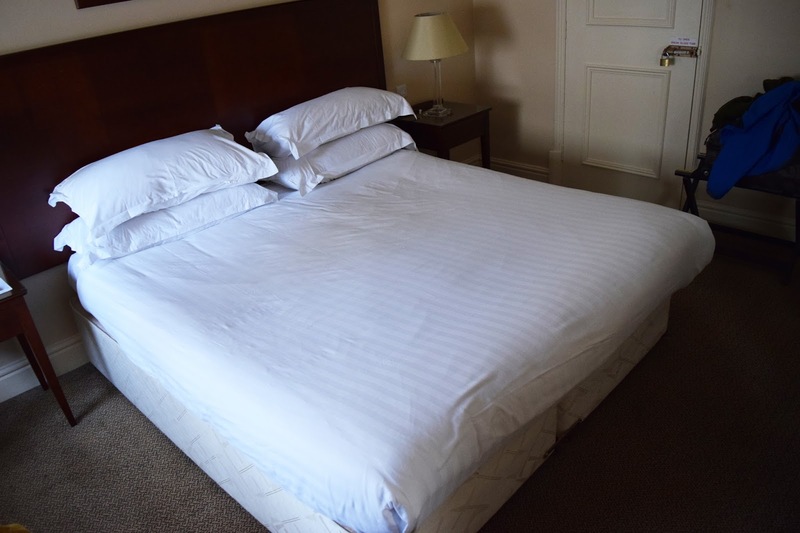 Day 2 - The next morning we woke up mildly refreshed after our less than comfortable night on the blow up beds. We decided to head to a couple of local national trust properties as we weren't really sure what to do and we are all new members. Our first stop was at a a huge roman villa. I cant remember what it was called but it was literally in the middle of nowhere. There wasn't really all that much to look at and honestly the tour was too boring for words so we headed off to look for the next property. 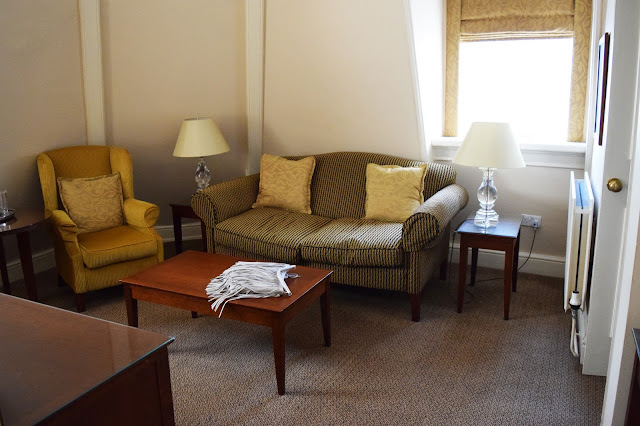 The next place we arrived at was a small country estate which I've just realized I didn't take any photos of. There didn't seem to be much here either really. We decided to head back to the camp and grab some more BBQ stuff on the way home. Me and Sean also picked up a couple of adult colouring books and spent a few hours working on those while we waited for the fire to heat up. It was then time for BBQ number 2 and a little walk over the fields before turning in for the night. Day 3 - This was our last day. We woke up, made some bacon baps and started to pack the tent up. This was the only day we had actually planned and the day I was most looking forward to. A few months back we had decided to go to Tewksbury Medieval Festival. We went last year and really enjoyed it so we wanted to go back and take Sean with us this time. 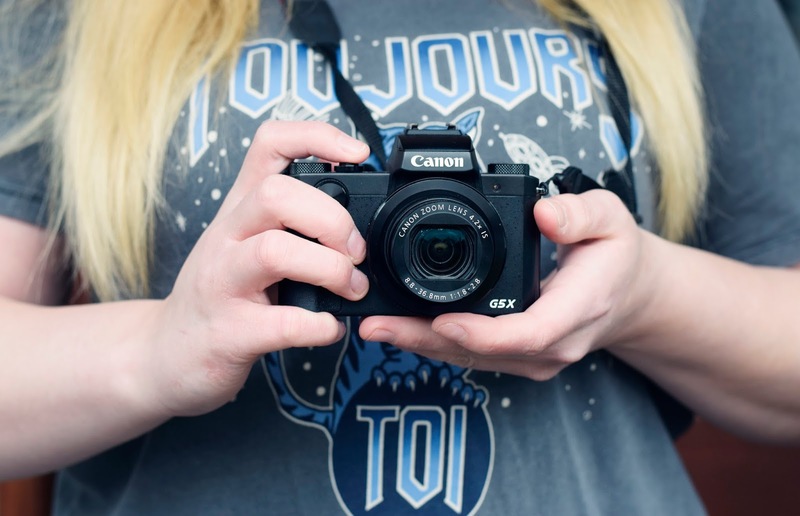 If you've never heard about the festival I wrote a little post on it last year, you can read that here. It was a really good day, the best part easily being the huge battle reenactment. 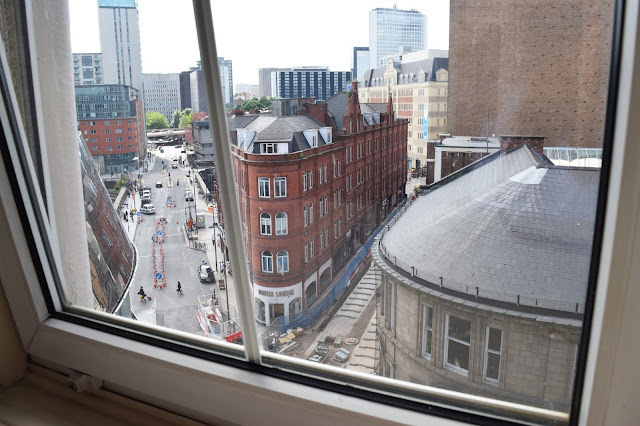 We all went for a meal at the local Weatherspoons (obviously) and headed back home. I really enjoyed the whole weekend and I would love to go camping again next year. I've love to hear your camping tips/ favorite places to camp in the UK! 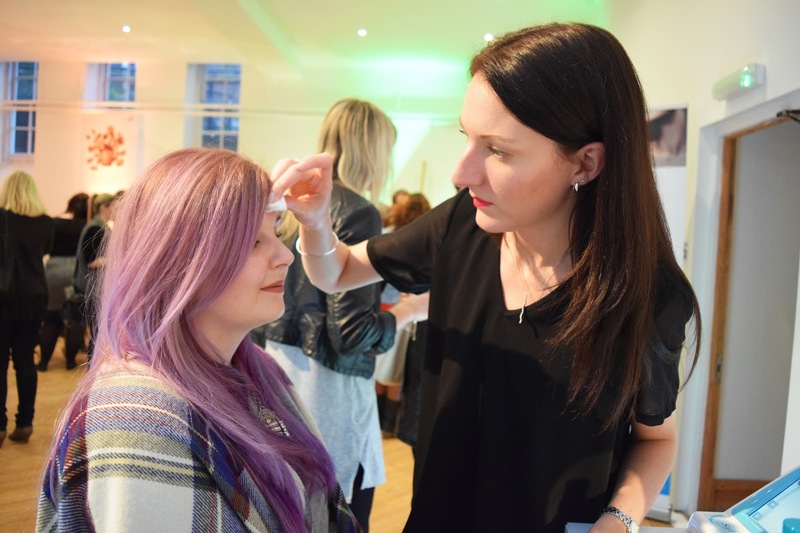 As you might know last week I was in London for a blogger event. I had a bit of time to kill before the event so I headed down to Oxford Street to do a bit of shopping. I had a little wander around the new LUSH store before making my way over to Selfridges to build my own BirchBox! 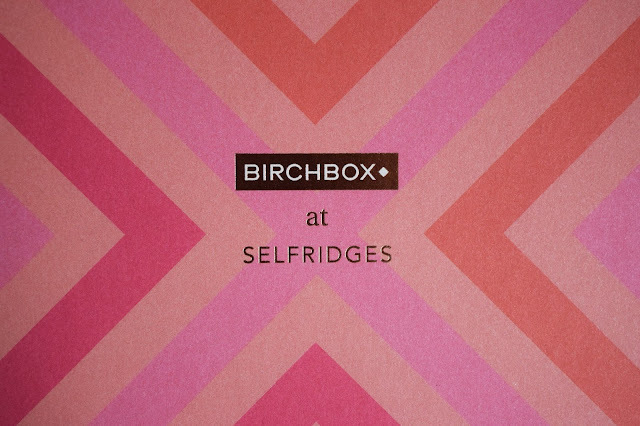 Until September 27th BirchBox have their own stand in the Oxford Street Selfridges where you can create your own beauty box. For £15 you get a special edition Selfidges box which you can fill with your own choice of 6 products. You can pick two make-up items, one skincare item, one body care item, one haircare item and one beauty treat. So here's what I picked. Benefit POREfessional - I've been after this for a while now and I'm so glad I finally picked it up! 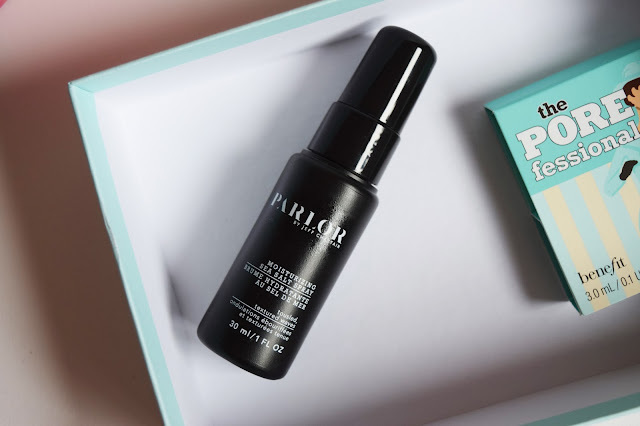 POREfssional is an oil free primer that smooths out pores and fine lines so you have a nice base to apply your make up. 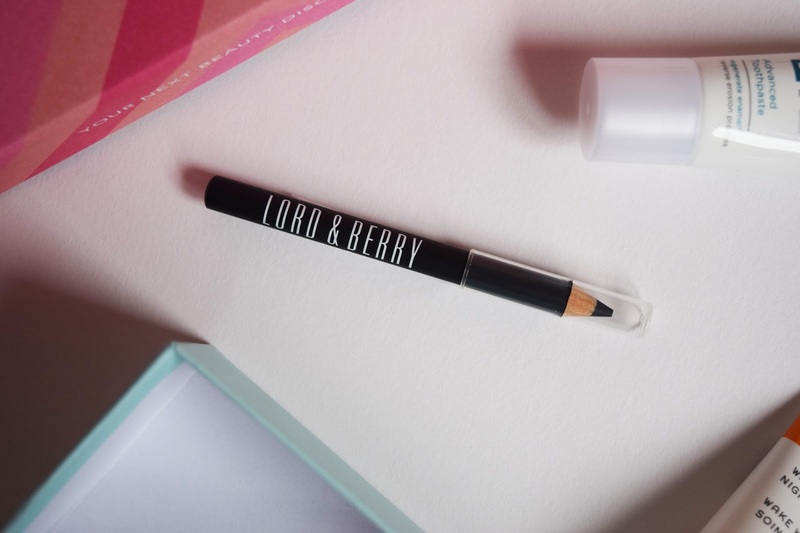 Lord & Berry Couture Kohl Kajal Eye Pencil in Black - A bit boring I know, but I always see Lord & Berry products on Asos and I really wanted to try something that I know I will use. This pencil eyeliner will be perfect for everyday use and will make creating a smokey eye a piece of cake. 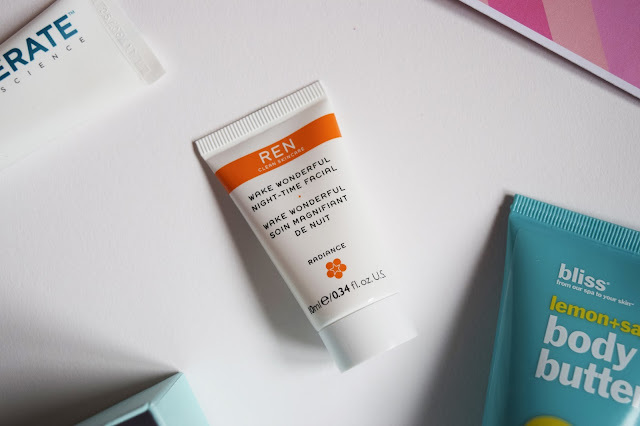 Ren Wake Wonderful Night-Time Facial - I'd never heard of this brand or product before so I was keen to give it a go. 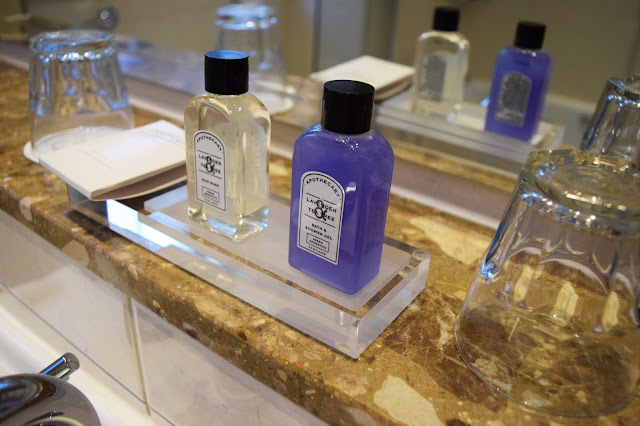 You apply the treatment onto clean skin before you go to bed and it does all the work while you sleep. The overnight facial promises to brighten and even out your complexion so you are left looking refreshed the next day. 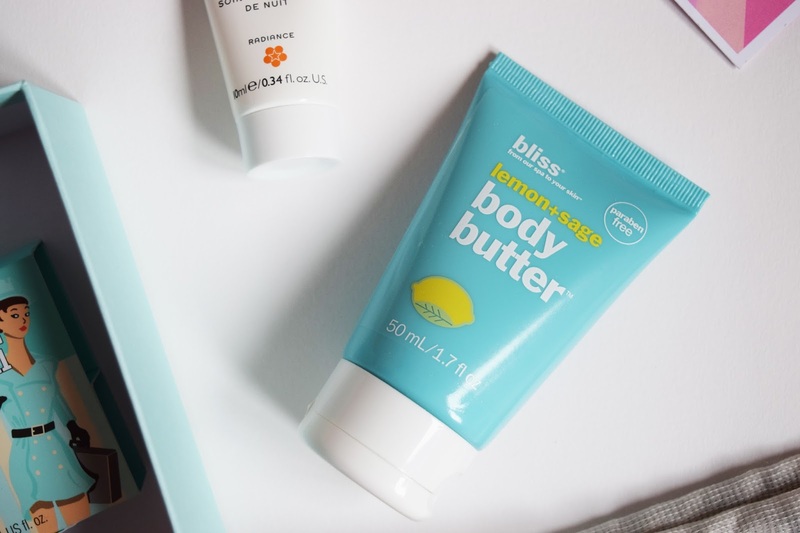 Bliss Lemon & Sage Body Butter - Another brand I haven't heard of but I cant wait to use this product. Although I haven't opened this one yet, I caught a whiff of the tester at the counter and it smells incredible. This paraben free body butter contains coconut oil and vitamin E to leave your skin feeling soft and moisturized. Parlor By Jeff Chastain Moisturizing Sea Salt Spray - These sorts of products are old news now but this is the first time I've gotten to hands on a sea salt spray. This moisturizing spray gives you beach style waves without the sand. 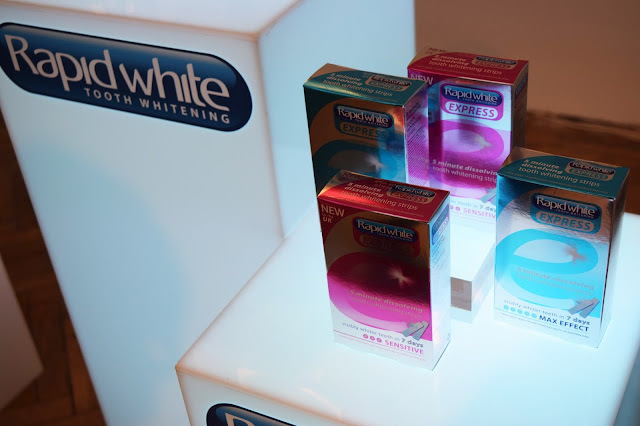 Regenerate Enamel Science Advanced Toothpaste - I've used Colgate forever so its nice to get a chance to try something a bit different. This toothpaste restores enamel, protects against cavities, restores whiteness and has little sparkles in it which is my favorite aspect. I've used it a of couple times now and I'm going to review it soon as its not like any toothpaste I've used before! 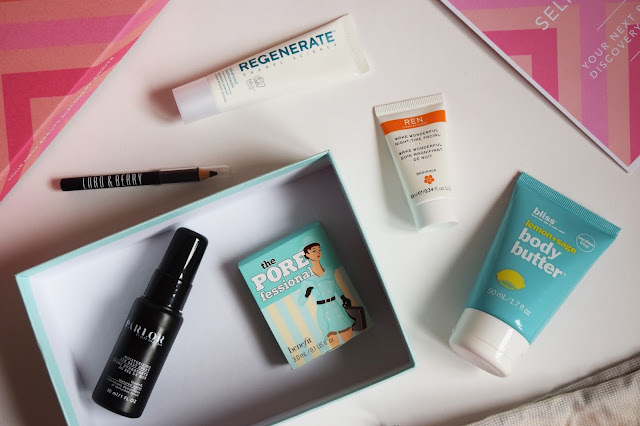 I'm looking forward to trying out all of these products and I cant wait to get my hands on a regular BirchBox as I've kind of missed opening a surprise beauty box every month since I've canceld my Glossy Box Subcscription. You can get your first box for just £5 if you enter the code SELFRIDGES at the checkout! Last Tuesday I was lucky enough to be invited down to London to the Pegasus Healthy Beauty Showcase. 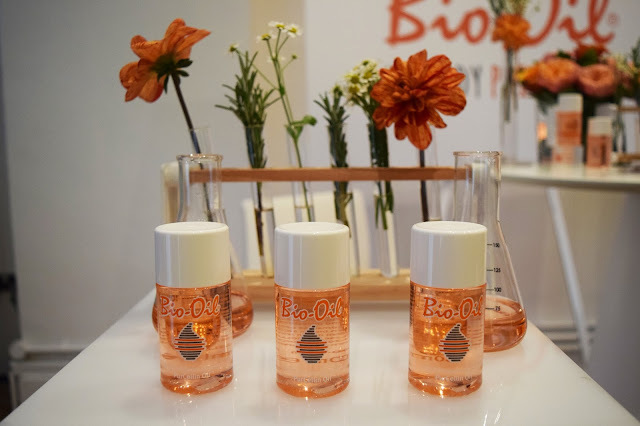 The event promoted a healthier more natural approach to beauty and gave a few brands the chance to show off their newest products. The first stand I came across was COLLECTION. 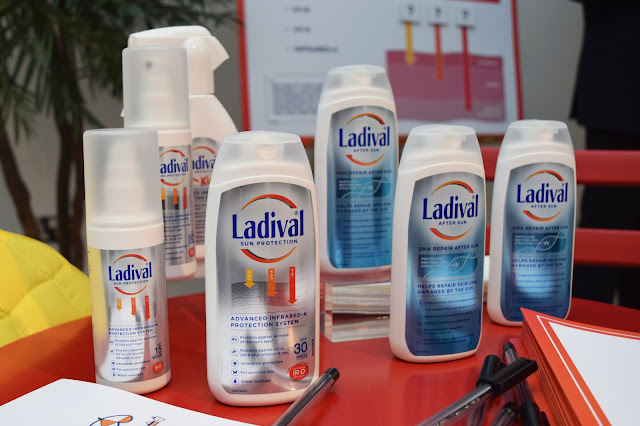 They were promoting several new products, some of which I was able to take home to try. Next month COLLECTION will be releasing 4 brand new pallets, each of which focus on a specific area. From October 14th you will be able to pick up the #ConcealAndLightLikeAPro Palette, the #FaceTheDay Palette, the #BlushAndGlow Palette and the #YourStyleYourMood Palette. They were also showcasing another of their new releases; the Collection Illuminating Touch Foundation, which you can get your hands on from the 23rd of September. 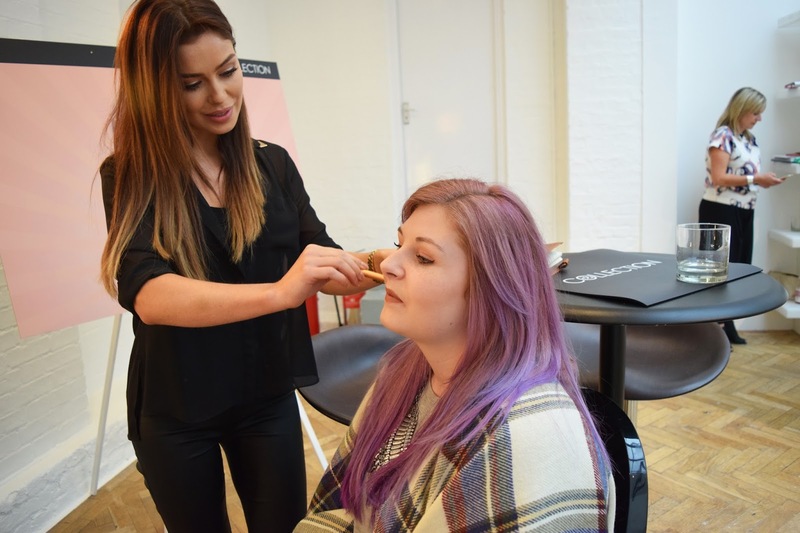 While I was there I decided to get skin matched by their makeup artist who also works on the XFactor, obviously I was the palest shade available. The Trilogy stand was were I headed to next as they had a gorgeous little set up displaying their new cleanser. 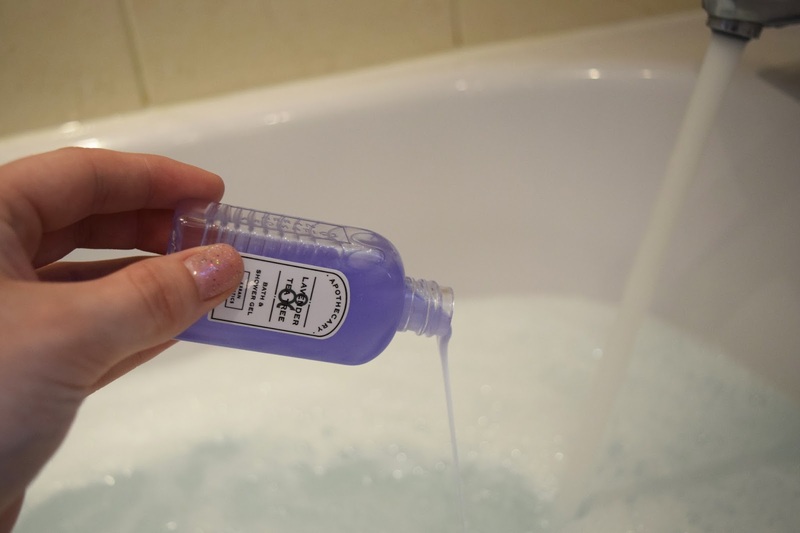 The cleanser, which comes with an organic cotton cloth has been formulated with mango butter, coconut, sunflower and rosehip oils so it has a very pretty floral scent. This new product claims to melt away even long wear and waterproof makeup leaving your skin feeling clean and soft. Another brand I was particularly interested in was Weleda, a company I hadn't previously heard of. They were showcasing their new range of Almond body care which smells incredible. Having eczema prone skin I'm always on the hunt for good quality skin care products and the new range from Weleda looks like it would be perfect for me. The new products which are specially formulated for sensitive skin include a hand cream, body lotion, body wash and a soothing facial oil. 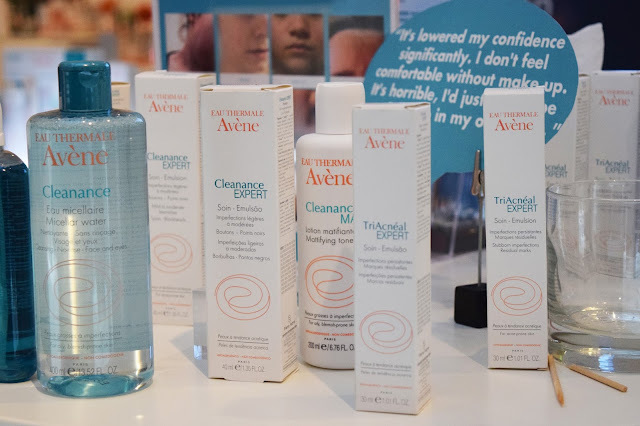 One new release I was looking forward to checking out was the Avene TriAcneal Expert after hearing so many good reviews of their other skincare products. Although I don't suffer with acne myself I do get the occasional break out which can be very embarrassing for someone my age who should have grown out of getting spots as far as I was concerned. I learnt that 40% of grown women suffer with a form of acne so its really quite common, but TriAcneal Expert can help eliminate and prevent blemishes. 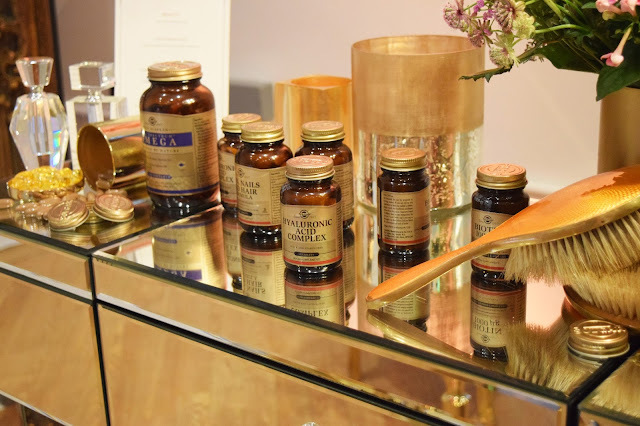 When I think of beauty, I think of make up, skin care and hair care so I was quite surprised to see a company offering a range of supplements to keep us looking our best. Solgar were there to promote their 3 new products; the Hyaluronic Acid Complex, the Skin Nails and Hair Formula and the Biotin. I'd never really thought about taking supplements before but after reading about the benefits which include healthy hair growth and keeping skin plump and smooth, I might be tempted to give them a go. The last stand I came to was Dr.Organic. 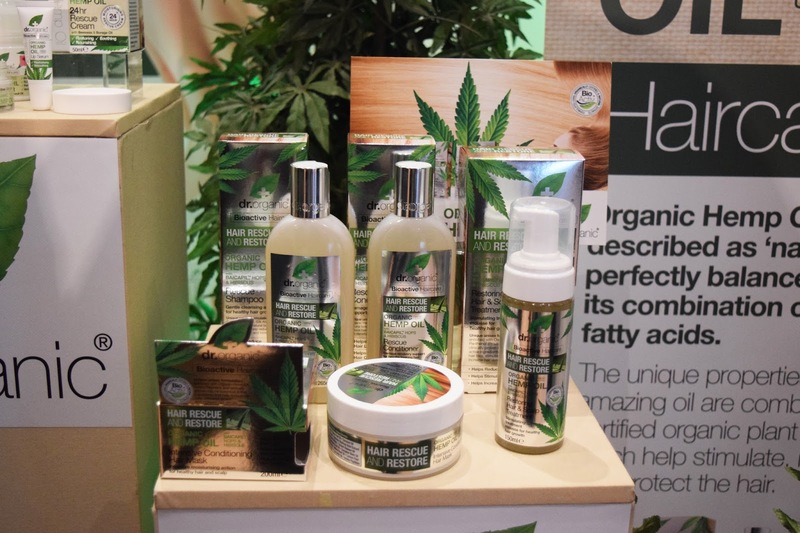 They were showcasing their new range of Bio-active hair care enriched with hemp oil. Hemp oil contains many nutrients that can help with hair growth, hair density and reduced hair loss. The range includes Rescue Shampoo, Rescue conditioner, Restoring Hair & Scalp Treatment and an Intensive Conditioning Hair Mask which you can pick up in Holland & Barrett stores. 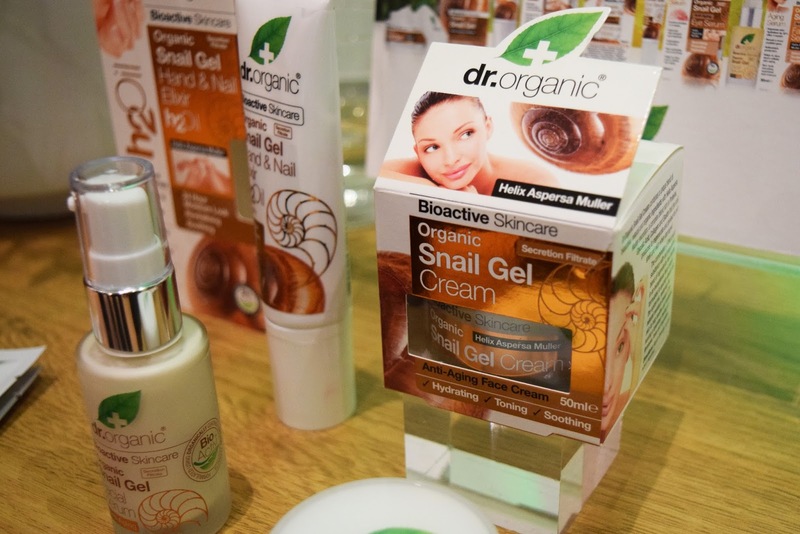 Although they were promoting their new products, I was particularly interested in one of last years releases, Snail Gel. I hate snails, I always step on them when its dark but I was intrigued by the idea of putting their secretion on my skin. I was lucky enough to receive one of their snail gel products in my goody bag and I'm very excited to try it out! 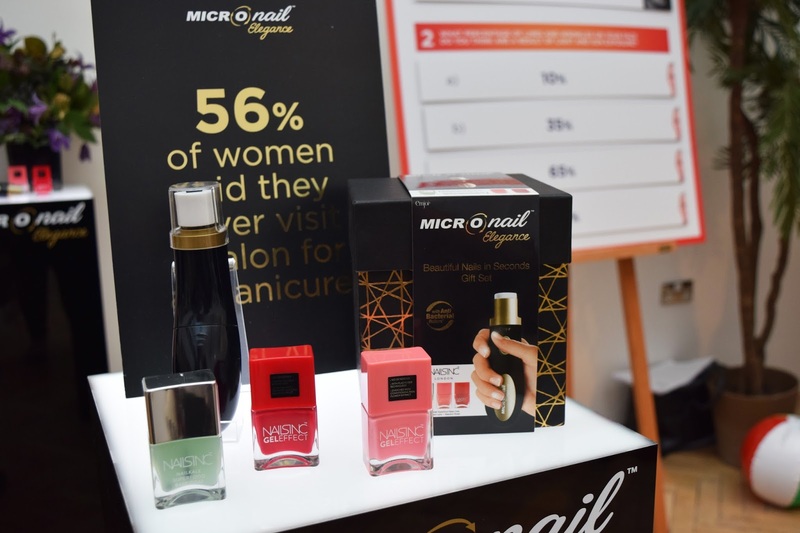 Other brands at the event include Bio Oil, Lavidal, Lloyds Pharmacy, Manuka Doctor, MICRO Nail, Rapid White, Skincere and Witch who were all showcasing their exciting new releases as well as some of their best selling products. There was also a very interesting talk covering beauty blogging, product innovation, key audience insights and more. 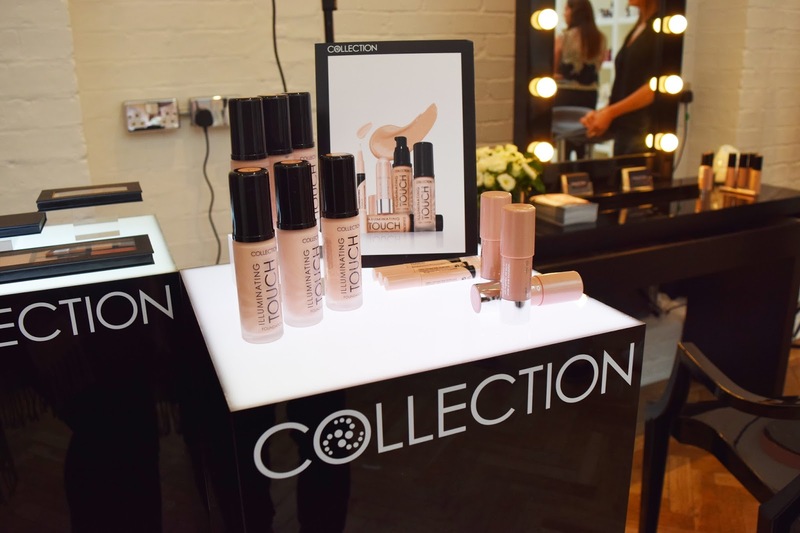 We heard from 4 special guests; beauty commentator and author Imogen Mattews, beauty journalist and co-founder of BeautyMART Anna-Marie Solowji, Google mobile expert Catherine Forrest and beauty blogger Jane Cunningham. 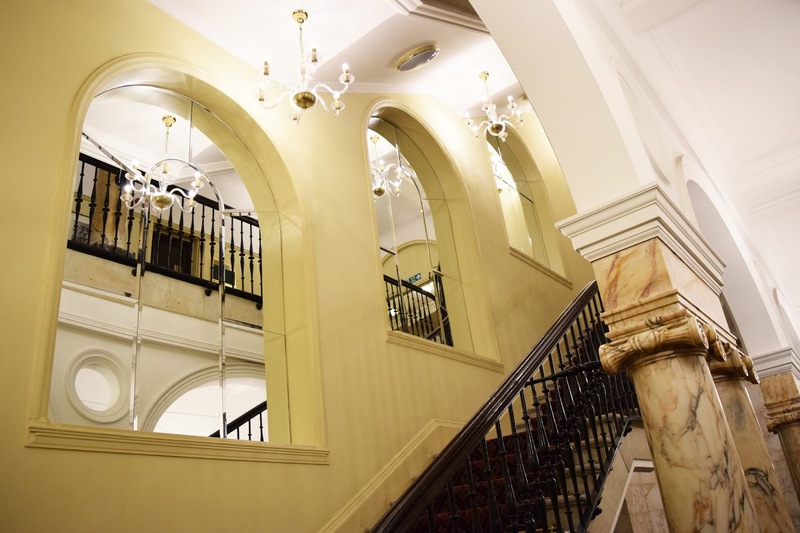 I left the event with lots to think about, lots to write about and lots of goodies to try out. If you want to see the products I came away with I'll do another post or maybe a video showing them? I'll also be reviewing them too in the next couple of months!